Nereus Director of Science William Cheung has won the Prix d’Excellence Award by the International Council for the Exploration of the Sea (ICES). The ICES Prix d’Excellence is awarded every three years for a high level of achievement in marine sciences work through research, scientific leadership and scientific policy leadership. Cheung’s research is recognized internationally as an important part of the foundation for understanding future impacts of climate change on global marine biodiversity. His works cut across multiple disciplines, from oceanography to ecology, economics and social sciences, and range from local to global scales. He developed a new modelling approach, the Dynamic Bioclimate Envelope Model, and generated the first series of global maps of changes in species richness of marine fishes and invertebrates because of their range shifts under climate change. 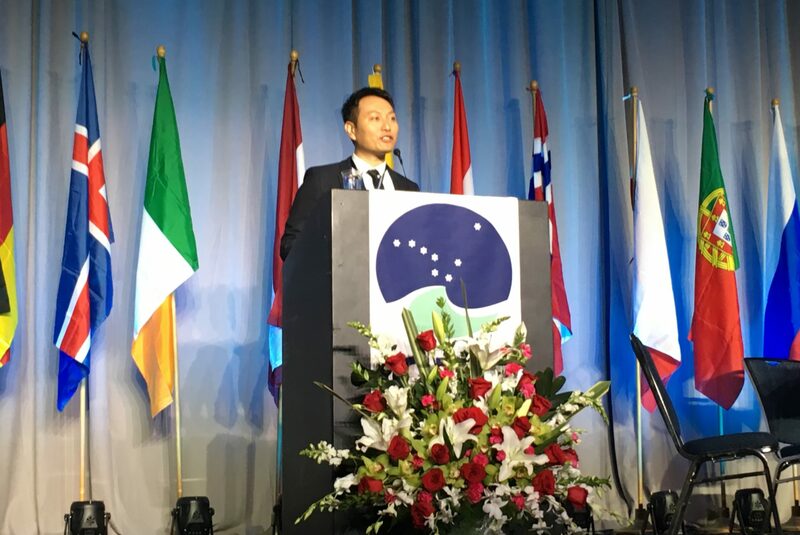 Cheung is actively involved in international and regional initiatives that bridge science and policy, including with the Intergovernmental Panel on Climate Change (IPCC). His findings have been publicized by major international and regional media, including CBC, BBC, CNN, Le Monde, Wall Street Journal, Forbes, and the Guardian. The award was given out at the ICES Annual Science Conference (ASC) on September 18, 2017. The award is for those that have contributed to the sustained use and conservation of marine ecosystems through their research, scientific leadership and/or leadership in the objective application of science to policy. Innovation, teamwork, mentoring, and objective communication with the public exemplify the career of the recipient of this award.